There is no excuses not to be seeking out potentially hot leads every waking moment of your investing career. As an investor, your single most important activity is to keep your pipeline full. In doing so, your head must always try to target motivated sellers. When all is said and done, the best time of the year to target motivated sellers coincides with your particular strategy; only you can truly know when lead generation benefits your business the most. It’s worth noting, however, that lead generation should never take a break, but rather optimize for individual circumstances. As it turns out, those circumstances aren’t solely relegated to the summer and spring months that have become synonymous with the most active time of the year. If you take the time to listen to what the housing market is saying, it won’t be long till you are let in on a little secret: fall may very well be the best time of the year to target motivated sellers. It’s not enough to pursue real estate lead generation strategies when you feel like it; you must strike when the iron is hot — or in this case, cold. Coincidently, this time of the year (when temperatures start to drop) will witness motivation peak for a large contingent of sellers. If for nothing else, both fall and winter are historically great times to target motivated sellers. Those with a predisposition to sell sooner rather than later have demonstrated an increased propensity towards selling when the calendar year draws to an end. If the house is vacant, vandalism is an ever-present concern. If they are not living in the subject property, there is a good chance they are paying two mortgages. The house is subtracting from their savings instead of contributing to it. Despite remaining vacant, maintenance will be expected. 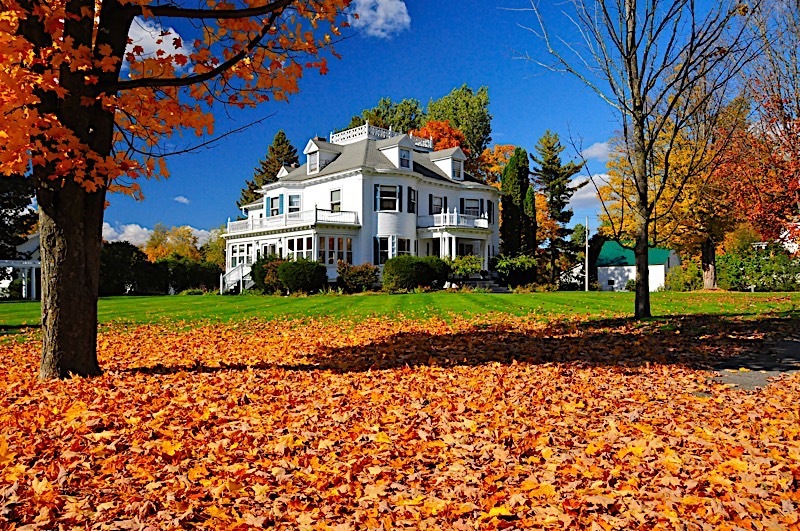 Any one of these issues could motivate an absentee owner to sell, but it’s worth noting that fall and winter compound any complications that may result from a vacant home. With fall officially upon us, the weather has already started to turn; the dog days of summer will soon be replaced by colder temperatures and even snow in some parts of the country. Those of you familiar with the obstacles winter presents homeowners are more than aware of what that means: more maintenance. Fall and winter have become synonymous with a number of issues homeowners would rather not deal with, especially from another state. Snow and rain alone are enough to concern even the most prepared homeowners, let alone those that are potentially thousands of miles away. That said, it’s in your best interest to target these particular owners with the hopes that they don’t want to deal with the issues that are likely to coincide with a change in the weather. And while absentee owners are already a great target, those that live in another state will be more motivated to rid themselves of the potential headache that comes with the new seasons. There is a chance they already want to sell, and there is no reason you can’t be the beneficiary. Those that want to target motivated sellers shouldn’t relegate their search to current homeowners. In fact, some of the most motivated sellers I have worked with as a real estate investors aren’t individuals homeowners, but rather traditional lending institutions — banks, if you will. And like some homeowners, banks may be saddled with a little extra motivation at this time of the year to sell. Not unlike the out-of-state absentee owner I discussed previously, it helps to know why banks would be interested in selling. For starters, banks aren’t in the business of holding on to properties, especially those of the non-performing variety (those that aren’t bringing in money). Any home sitting on the books of a bank is essentially a drain on their cash reserves, and is better of being sold to a respective investor than sitting idly by, depleting the coffers one lost mortgage payment at a time. At the very least, the cost banks incur holding onto properties without making money off of a mortgage is enough to make them want to sell, but the end of the year brings a caveat: banks want to remove more properties from their books by the end of the year to reduce their costs just in time for the New Year. If you want to target motivated sellers, look no further than real estate owned properties, otherwise known as REOs. There is a good chance banks are already looking to sell the homes before they cost them any more money, but the added pressure of the impending year could force them to sell sooner rather than later, and perhaps even at a great discount. It’s not uncommon that banks will reduce their prices to meet end of the year quotas; those that are aware of this could find their next big deal. As I said before, summer and spring have become the two most active seasons for both buyers and sellers. Each has become synonymous with a lot of activity, and for good reason; they aren’t winter or fall. However, there are those that underestimate the warmer months and assume that the higher demand means they can charge more. They couldn’t me more wrong; those homeowners that price themselves out of the active summer months may even find their listings last till fall and winter, and by then their patience is running thin. If enough time has passed, you may find a homeowner willing to take a price cut. They may have been trying to sell for far too long, and to no avail nonetheless. As an investor that wants to target motivated sellers, you may not come across a better opportunity than those that have already been trying to sell for months on end. Not only are they likely more eager to sell, but there is a good chance they will lower the price to make a deal happen. If you want to target motivated sellers, I recommend extending your search to cover the entire year. However, far too many investors are content relegating their lead generation campaigns to the warmer summer months; that couldn’t be more of a mistake. Fall and winter provide ample opportunities to target motivated sellers, as long as you know where to look.